Hello, techies…welcome to Vegas! For those of you with non-geek brains, the International Consumer Electronics Show – also known as CES or, better yet, the World Cup of technology – is booting up for its annual appearance in Vegas. From Jan. 6 – 9, the latest and greatest developments in electronics from around the globe will be on display here. Whether you’re attending CES or not, you probably enjoy tech amenities (who doesn’t love cool gadgets?) and may be wondering what perks hotels in Vegas have to offer. Well, let’s just say there’s a veritable touch screen of great options. From fast internet access and huge flat-panel TVs with 3-D capabilities to smartphone apps and tablet registration, our hotels will make sure you stay well connected and digitally satisfied in Sin City. Does the mere thought of being unable to get into cyberspace frighten you? It terrifies us too. Overreaction? Maybe. But if you’re the kind of person who’d list “virtual” as your current place of residence, then we have some wonderful information to share: Wi-Fi is available in almost every hotel and motel in Vegas…and there are several standouts where it’s not only reliable, but also really, really speedy. The LINQ Hotel & Casino, which debuted last October, has fast wireless internet access in all of its rooms and throughout the resort’s gaming floor, bars and other common areas. At The Cosmopolitan of Las Vegas and the Trump International Hotel Las Vegas, high-speed wireless internet access is available – along with on-site IT support. And then, of course, there are MGM Resorts International properties. 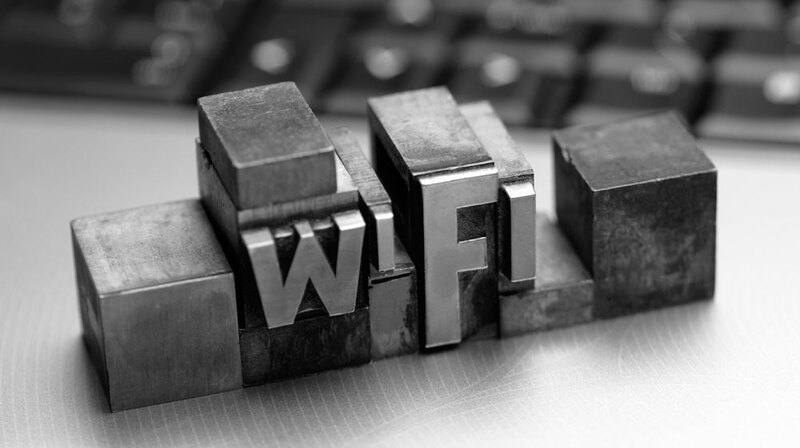 In late 2013 the corporation announced it was working with Mobilitie and Cisco Systems to roll out one of the hospitality industry’s largest next-generation Wi-Fi networks. The goal was to provide high-density, dependable wireless internet access throughout the low-rise public spaces (including pools, lobbies, restaurants and casino floors) of their Las Vegas properties. So if you stay at Bellagio, MGM Grand, Mandalay Bay, Delano Las Vegas, The Mirage, New York-New York, Monte Carlo, Luxor, Excalibur, Aria and Vdara, you’ll be able to have optimal online experiences. Even The Shops at Crystals offers impressive connectivity. AT&T customers also received some great news last October. For two miles along Las Vegas Boulevard (between Sands and Tropicana avenues), free Wi-Fi is being furnished for them that will not count against their monthly allotments. With our increasing reliance on wireless devices, you can have confidence that you’ll be able to keep in touch and interact easily with the digital world during your Vegas visit. So go ahead, surf away! Photos of a deluxe room at Aria (left) and Creston technology in the Skylofts at MGM Grand (right) courtesy of MGM Resorts International. Most people would say that a room with a view or chic décor is tops on their list of vacation must-haves. What about a room with programmable features? At two hotels in Las Vegas, you’ll actually find all three of these things. Aria has a level of personalized automation that is a tech lover’s dream. Say these words to impress your friends: radio-frequency identification. The keyless locks at Aria utilize this. And when you first enter your room, the lights will come on and the curtains will open (so you can check out the view). Then the TV will power up, displaying a list of things that you can set your preferences for – like the draperies, lighting, temperature, music and more. Plus, there’s an easy-to-use remote control allowing you to adjust these things…or simply touch the “Good Night” mode and it all will go off while a privacy notification is turned on. The Skylofts at MGM Grand boasts Creston technology. Ever heard of that? It’s a wireless universal remote control that puts the lighting, drapes, temperature, music and entertainment of the entire loft at your fingertips. You’ll find the Skylofts replete with other forms of technology as well – including iHome clock radios at every bedside and iPod docking stations in the downstairs living areas. Photos of mobile apps for Caesars Palace, Nobu Hotel Caesars Palace and SLS Las Vegas courtesy of Runtriz. Smartphones and tablets play a big role in our daily lives. So several Vegas hotels have partnered with companies that develop software ­– like Runtriz – to launch free apps providing you with easier access to all of their services and amenities. SLS Las Vegas has a customized mobile app. In addition to giving you more information about the hotel’s offerings, it enables you to do things like set a wake-up call, order room service, request luggage pickup and make dinner reservations. The mobile app developed by Caesars Palace is truly a guest’s best friend. You’ll have detailed information about all the bars, shows and leisure activities at the resort as well as menus from the different restaurants. There are even maps to guide you around the Roman-themed property. And if you’re a guest in the Octavius or Augustus towers, the app offers some exclusive options. It allows you to communicate with concierge, housekeeping and room service as well as get resort information and insider offers. Nobu Hotel Caesars Palace has a similar app that puts facets of its unique boutique resort experience (like the ability to order and devour Chef Nobu Matsuhisa’s fusion cuisine whenever you crave it) in the palm of your hand. And when you arrive, you can choose a traditional check-in at the front desk or have a staff member register you through a tablet in the comfort and privacy of your room. 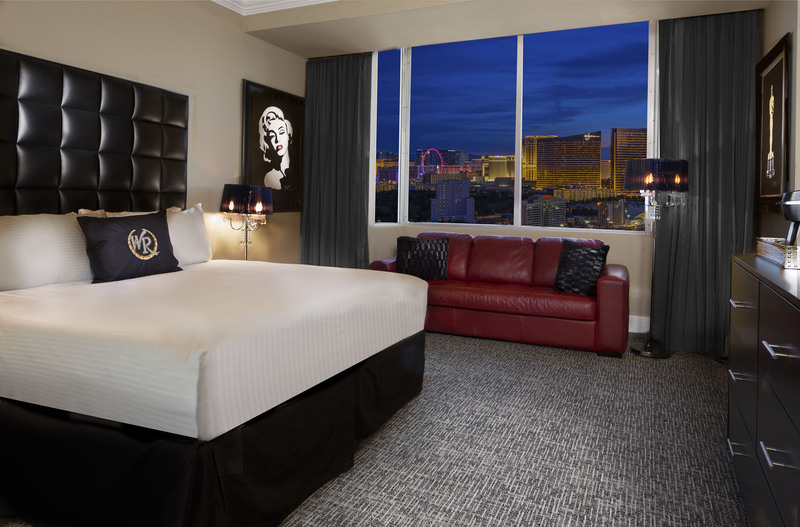 Photo of a Signature king room courtesy of Westgate Las Vegas Resort & Casino. CES attendees are sure to glimpse the jaw-dropping smart televisions of the future. But the TVs in Vegas’ hotel rooms at present are no slouches in the electronics department. With David Siegel at the helm of the new Westgate Las Vegas Resort & Casino, renovations have been occurring steadily. This includes the recent debut of the Signature room type, which comes with a 55-inch flat-screen TV that has 3-D technology. At The Cromwell you’ll also find 55-inch flat-screen televisions are the norm. For those of you who don’t care about size but just want to have a TV in your view at all times, go to Delano Las Vegas. Each suite has a 46- and 55-inch flat-screen television in the bedroom and living area, respectively, as well as a smaller one in the bathroom. And then there are TVs like those at Vdara, which have media hubs that allow you to connect MP3 and DVD players, game consoles and cameras. So cue the entertainment – but be warned, you may find it hard to leave your room because the televisions are so wonderfully watchable! Hate waiting at the valet for your car to be returned to you? 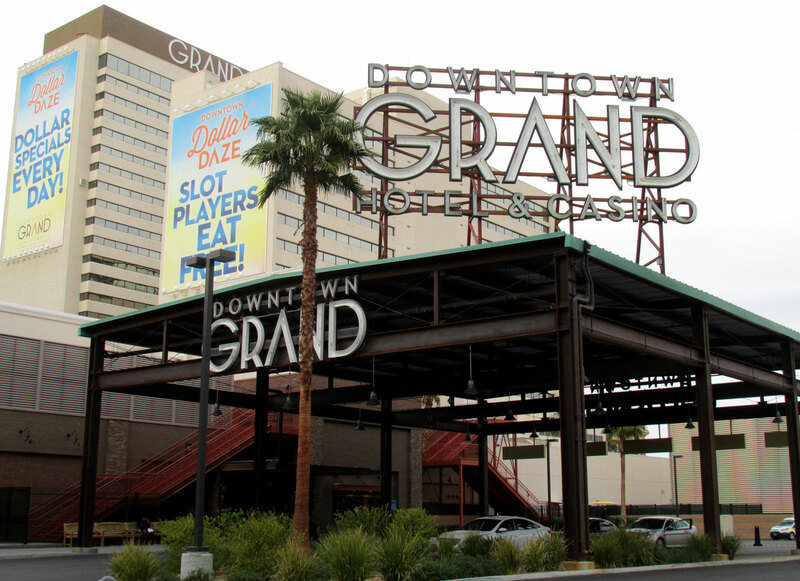 When you park at Downtown Grand, you can actually send a text in advance so it will be ready to go when you arrive. Thanks for this goes to Flash Valet, a mobile parking software solutions provider. Being able to request your car from your phone…now that’s Batman-style cool! Vegas hotels can indulge your inner gadget geek in other simple ways. For instance, look for some of these lower-tech-but-still-pretty-impressive amenities: dawn simulation and mood lighting in the Stay Well rooms at MGM Grand, video game consoles (by request) at Four Seasons Hotel Las Vegas and Sub-Zero appliances in the suites at The Cosmopolitan of Las Vegas. Have you come across other neat electronic devices in Vegas hotels? Tell us about what you’ve seen.